A common fear that women have is of becoming pregnant without desiring or planning to do so. This fuels the huge necessity for safe and effective birth control methods, which are currently limited in choices and accessibility for many people, as well as may include risks and unwanted side effects. You can confidently take control of your fertility, without risking the side-effects and complications of artificial hormones, permanent sterilization, or internally implanted devices, for both preventing pregnancy or preparing for conception. Fertility awareness is a scientifically supported practice of self-monitoring your body's fertility signs and symptoms on a daily base to make an educated and informed accurate assessment of whether you are fertile or not. This information empowers women and men for both pregnancy prevention and conception planning, as well as growing intimacy with one's own body and in a mutual loving relationship. First, it's important to understand that by fertility awareness I mean the sympto-thermal method of natural birth control which specifically uses daily signs including your basal body temperate, appearance of cervical fluid, and position of the cervix to determine whether or not you are in the 6 to 9 days of the fertile window of your cycle. Women are only fertile for this fertile window, which is about 1/4 of the menstrual cycle for about 5 days prior to ovulation and a day or two after ovulation occurs. It's important to practice abstinence or to utilize a barrier method of birth control during this fertile window to avoid conception. Thus, it's essential to learn how to accurately read and translate one's fertile signs throughout the menstrual and fertility cycle in order to confidently use this method for fertility awareness. Luckily, there are more tools than ever available to support you to embark upon the choice to use the fertility awareness to avoid pregnancy and empower your sexual health. It's recommended to chart your cycles for several months before relying on the fertility awareness for preventing conception, as the information you learn about the length of your cycle and follicular and luteal phases may alert you of specific needs to address to regulate your cycle for optimizing the birth control benefits of this method. This is especially essential if you have an irregular cycle as the information from your menstrual and ovulation calendar can help you to pinpoint what's going on and how to balance your hormones. I highly recommend reading books on natural fertility awareness and studying about fertility awareness. Taking classes and consulting with a fertility awareness expert is beneficial for many women to be able to address questions and fully understand the practice of charting particularly in the first 3 to 6 months utilizing this method. However, fertility awareness used correctly is 99.6% effective, which is higher than the success rate of condoms. Fertility awareness is often scorned and dismissed in the mainstream media for it's commonly confused with the rhythm method. The sympto-thermal method of fertility awareness is highly accurate and based upon current daily signs and symptoms including the temperate, fluid and cervix. The rhythm method by contrast is a matter of essentially guessing one's fertile state based upon simply calculating based upon past calendrical charting of only the times of menstruation. Yet fertility awareness is still so simple and effective to learn and use that even communities of illiterate women in India and impoverished women in Rwanda have successfully learned this method with the support of women's health educators to teach them to track their fertile signs and prevent pregnancy. Learn how you can use today's most highly effective, scientifically researched, and empowering practice of planning or preventing pregnancy through fertility awareness. 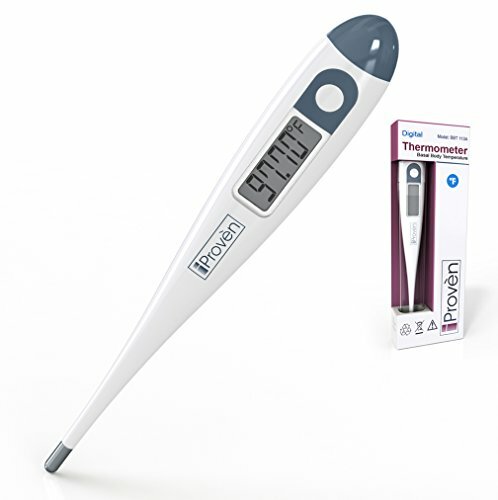 To practice the sympto-thermal method of fertility awareness you need a quality digital basal body thermometer to take your waking temperature first thing in the morning, before getting out of bed, and then record your temperature on your fertility chart. Taking Charge of Your Fertility by Toni Weschler is my favorite book on the Fertility Awareness Method. 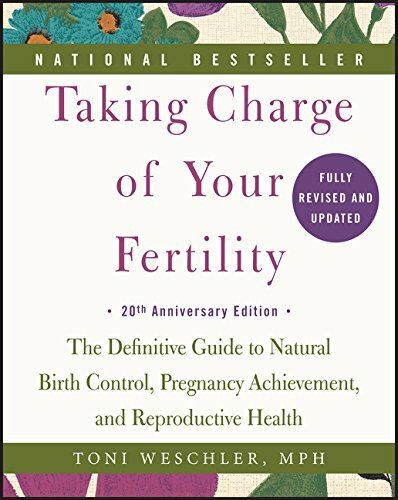 This was the first book on fertility awareness that I found and it changed my perception of women's ability to be empowered in our fertility choices in a life-changing way. This is a comprehensive guide to learning how to recognize your body's daily fertility signals, chart effectively, and understand confidently how to know when you are at chance of conceiving or not. It also has extensive support and resources for women with irregular cycles, breastfeeding, and other special circumstance. I highly recommend it! 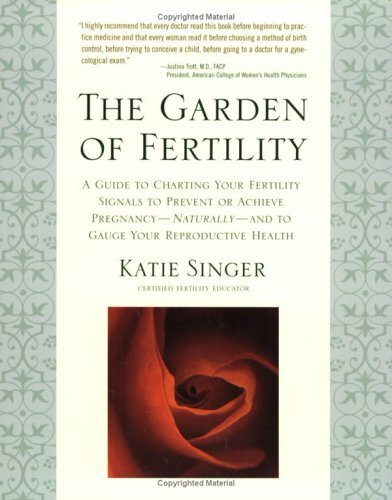 The Garden of Fertility is a wonderful book on natural fertility awareness by author and Certified Fertility Educator Katie Singer. I really appreciate this book for the wonderful advice and perspective that Katie includes related to traditional nutrition to support fertility as well as the practice of night-lighting to naturally regulate menstrual cycles. Her warm and nurturing tone throughout the book makes this an approachable and welcoming introduction to the practice of natural fertility for women today. 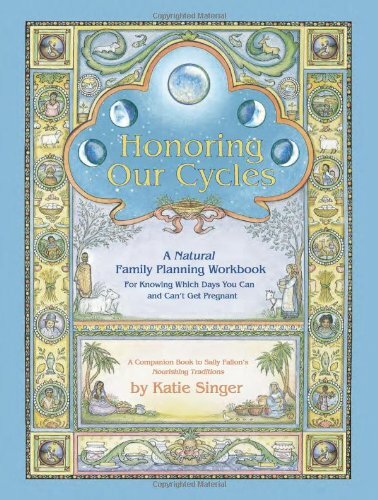 Honoring Our Cycles is a wonderful introduction to natural family planning also by Katie Singer, the author of the Garden of Fertility. The difference is that Honoring Our Cycles is a significantly shorter book which makes it a great introduction to share with teenage girls and younger women to educate about the opportunity to learn about one's cycles, respect one's power of fertility, and create natural health and vitality throughout life through empowering natural methods. I believe it's a great start to learning about fertility awareness and has Katie's holistic nurturing vibe throughout. I love the Daysy fertility monitor and ovulation calculator which takes the effectiveness of fertility awareness into the personal technology age. If you are looking for something to enhance your practice of fertility awareness, the Daysy can bring you greater confidence and ease in tracking your fertility signals. The benefits of the Daysy are that it's not just a period or ovulation predictor like many fertility apps available today. The Daysy is actually a computer device that uses a proprietary system developed by their parent company Ladycomp and researched for over 25 years. I first learned about the Daysy when Natalie Rechberg, the CEO of Daysy, joined my Women's Healing Arts Teacher Training. I was impressed with learning her story, that her father had invented the LadyComp and had grown this into an international company with decades of research in fertility awareness technology. In addition to being a women's health expert and CEO of a global technology company, Natalie is dedicated to continuing to keep learning and stay on the forefront as a visionary leader in global women's wellness. My first impressions upon using the Daysy fertility calculator is that it has a beautiful ergonomic design, arrives in elegant sleek packaging, and is easy to learn to use. I love that it's really smart in how it can be used as a stand alone device with just the computer, or you can also upload their app to your smartphone and be able to share your information privately with your partner or health care provider. Unlike other popular fertility apps available today, Daysy will never share or sell your private fertility tracking information to research companies (which is how many start-ups and free apps make their money on fertility tracking tech). The best thing about the Daysy thermometer is that unlike traditional fertility awareness practices in which you need to take your basal body temperature first thing in the morning every day and write it down, the Daysy works anytime as long as you've had 3 hours of consistent sleep before taking your temperature and take it at around the same time each day. You take your temperature with the Daysy and it automatically records your temperature and tells you whether or not you're in your ovulatory zone based upon their unique algorithm which is tested to be 99.3% accurate right from the start. I love that there are more options available today for women to confidently become empowered in learning and working with our own cycles to naturally master our fertility. I also love that Holly Grigg-Spall, the author of Sweetening the Pill: Or How We Got Hooked Onto Hormonal Birth Control is also working with Daysy as their social media manager. I've connected with Holly and become really moved by her passion for supporting women leaders, companies and educators in bringing more awareness of natural fertility empowerment to women worldwide. I adore Holly's work and am so excited for the new documentary that Ricki Lake and Abby Epstein are directing and producing based upon her book to be released. There are lots of resources available to learn about how to confidently use fertility awareness to prevent or plan for conception. Here’s another great resource online about Natural Family Planning.